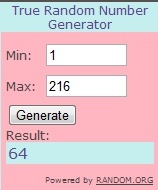 *** WINNERS *** Trixx, Wanda, Lethea and Tina are Living the Life of Riley! I want to give a big and hearty CONGRATULATIONS to Trixx, the winner of the Decade Box of CHOICE from Old Time Candy Company! Trixx now has 48 hours to confirm! I also want to give a big and hearty CONGRATULATIONS to Wanda, the first winner of a carton of eggs from Eggland's Best! Wanda now has 48 hours to confirm! I also want to give a big and hearty CONGRATULATIONS to Lethea, the second winner of a carton of eggs from Eggland's Best! Lethea now has 48 hours to confirm! 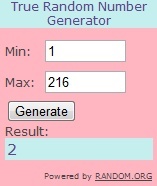 I also want to give a big and hearty CONGRATULATIONS to Tina, the third winner of a carton of eggs from Eggland's Best! Tina now has 48 hours to confirm! 2 Responses to *** WINNERS *** Trixx, Wanda, Lethea and Tina are Living the Life of Riley! 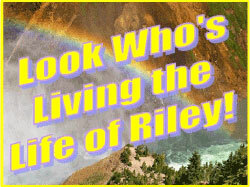 I’m just thrilled to be chosen~’Living the life of Riley’ is fantastic! *** WINNERS *** Heather and Danielle are Living the Life of Riley! CONGRATULATIONS!